Microsoft is distributing a nice – MS SQL Performance Dashboard which you can use in the SSMS and SSRS. 1. Each SQL Server instance you plan to monitor must contain the procedures and functions used by the queries in the reports. Using SQL Server Management Studio (SSMS), open the Setup.sql Script from your installation directory (default of %ProgramFiles(x86)%\Microsoft SQL Server\110\Tools\Performance Dashboard) and run the script. Close the query window once it completes. Once installed you can also use it inside of the SSMS – Browse to %ProgramFiles(x86)%\Microsoft SQL Server\110\Tools\Performance Dashboard folder and open the performance_dashboard_main.rdl report. To get it to work you need to run the SETUP.SQL query in the Master DB. 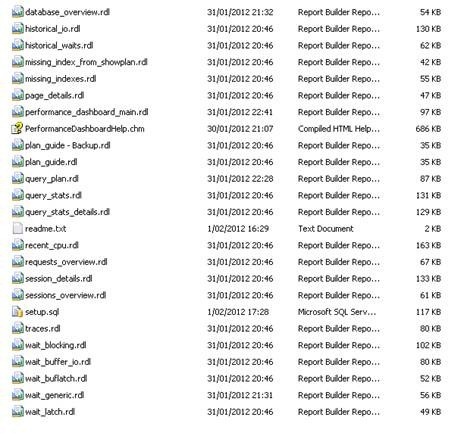 Copy all files from the install directory to your SSRS reports directory. And upload them to the SSRS Reporting Portal. 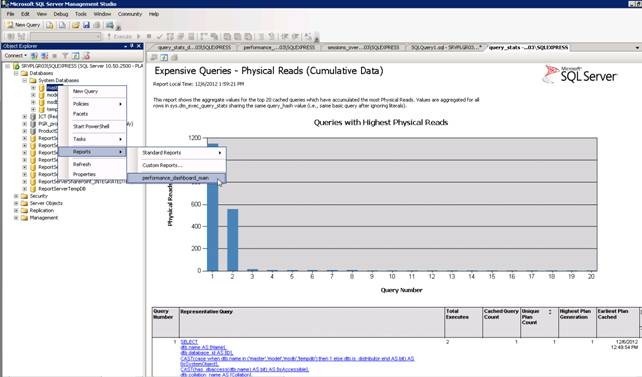 Create a Shared Data Source in the Report Server ! 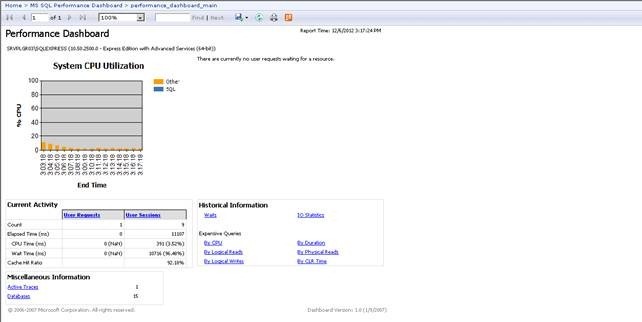 Once the reports are using the correct data source you can run the main Report to test it. 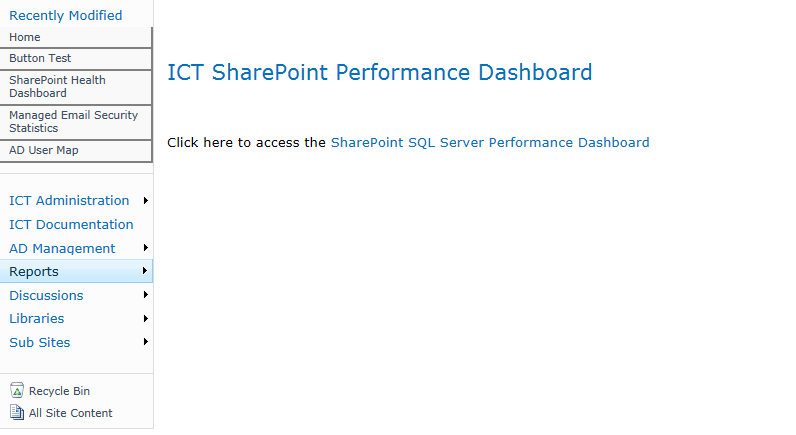 If you are running SSRS in SharePoint Integrated Mode, than you have a nice interface to monitor your database Health. And there you go all the data is available per content database.